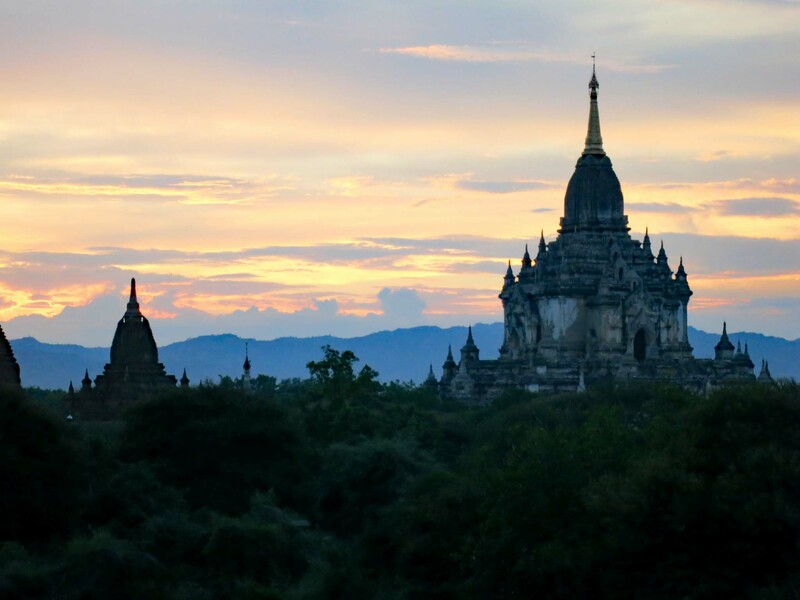 Visitors to Myanmar are met with superb cultural touring, picturesque villages, and gorgeous natural settings. The people are warm and hospitable, eager to share their stories and show off their beautiful land. Myanmar (known as Burma until 1989) sits between South and Southeast Asia, sharing borders with five countries: Bangladesh, China, India, Laos, and Thailand. The country also has coastlines on the Andaman Sea and the Bay of Bengal. For most of its existence, Myanmar was ruled by a great Burmese Empire, engaging in both trade and warfare with its neighbors. During the 19th century, it became part of the British Empire; later it was occupied by the Japanese during World War II. Independence was achieved in 1948. Theravada Buddhism is the predominant religion and a significant part of the culture, which also has a unique blend of influences from the east and west. One distinctive Burmese style is the wearing of thanaka, seen mostly on women and children: The bark of the thanaka tree is ground into a pale-yellow paste that multitasks as cosmetic, sunscreen, and insect repellent. It’s often said that Myanmar is 50 years behind the rest of Southeast Asia in terms of infrastructure, technology, and education, legacy of the harsh military junta that ruled from 1962 to 1988. While some aspects of the culture have rapidly advanced in the past decade, many people still follow a traditional way of life that hasn’t changed for hundreds of years. As the country reconciles its past with the future, now is a fascinating time to visit. 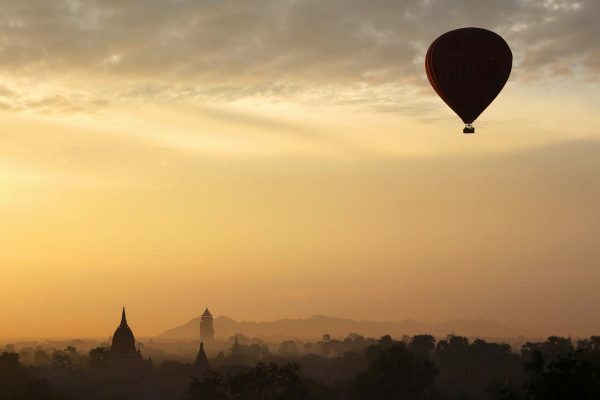 The tourism industry in Myanmar is still in its infancy. There are deluxe hotels in each major destination, but the hotel scene lacks the range of high-end luxury accommodations found in its neighbors, India and Thailand. Traveling by river is an age-old mode of transport and indeed, it’s one still preferred by many luxury travelers. Several small, deluxe ships ply the legendary Irrawaddy River between the rich cultural destinations of Bagan and Myanmar, a relaxing way to travel in style while taking in Myanmar’s natural beauty. In the bustling city of Yangon, the iconic Shwedagon Pagoda is the top destination for both tourists and local Buddhists. 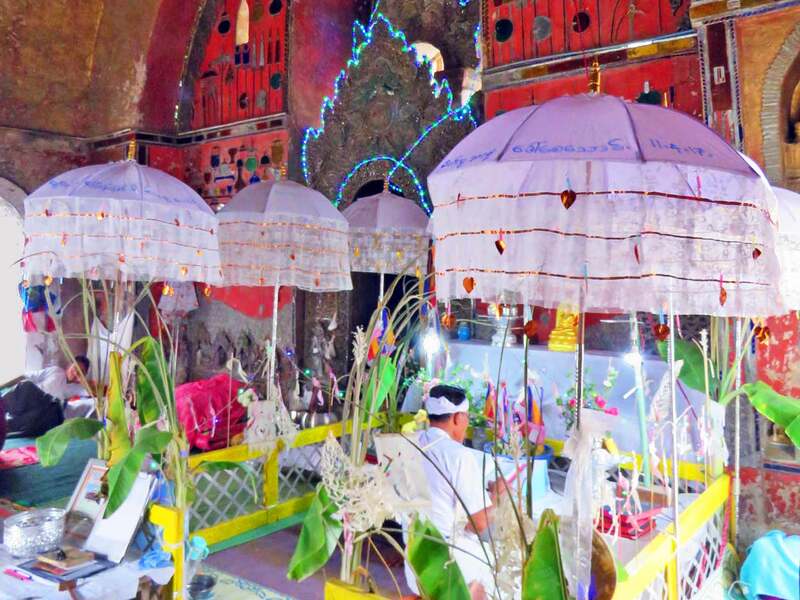 This holiest of Myanmar’s shrines is also its most opulent. The pagoda was built to protect a sacred relic: eight hairs of the Buddha. Covered in pure gold, it rises to 321 feet, crowned with thousands of diamonds and rubies. At its pinnacle is a 76-carat diamond bud. 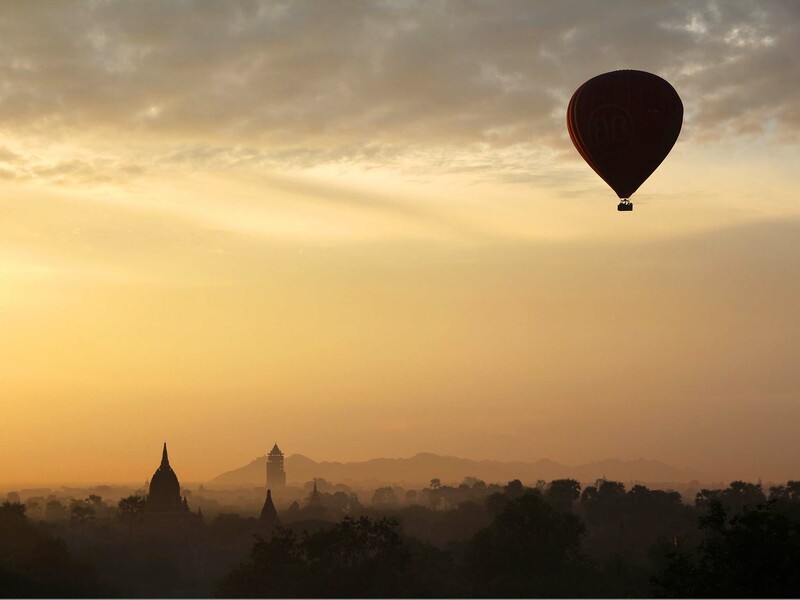 Thousands of temples and pagodas rise majestically from the plains of Bagan, one of the world’s most enthralling sites. Both religious fervor and wealth surged during the 11th century, sparking a building spree of over 10,000 Buddhist monuments over the next 200 years. Marco Polo himself was dazzled by the city during his travels in the 13th century. In his writings, he marveled at a tower covered “with gold a finger thick.” The remains of 2,200 structures still stand; some are crumbling pagodas, others remarkably large, well-restored temples. One of the most beautiful is the Ananda Temple, where two mysterious Buddha images are housed: If you keep your eyes fixed on their faces as you move around the space, their expressions seem to change. From October through mid-April (the dry season) you can enjoy an aerial view of the sunrise from a hot air balloon over this breathtaking landscape. Not far from Bagan is Mount Popa. A covered walkway of 777 steps leads up the extinct volcano to a gilded Buddhist temple complex. The vigorous climb rewards visitors with splendid panoramic views of the surrounding plains. Ancient animist legends say that Mount Popa is the home of powerful spirits called nats. Thus, the mountain is sometimes referred to by Westerners as the “Burmese Mount Olympus.” Local custom still warns against wearing red, black, or green clothing or bringing meat to the mountain, as these will anger the resident nats. 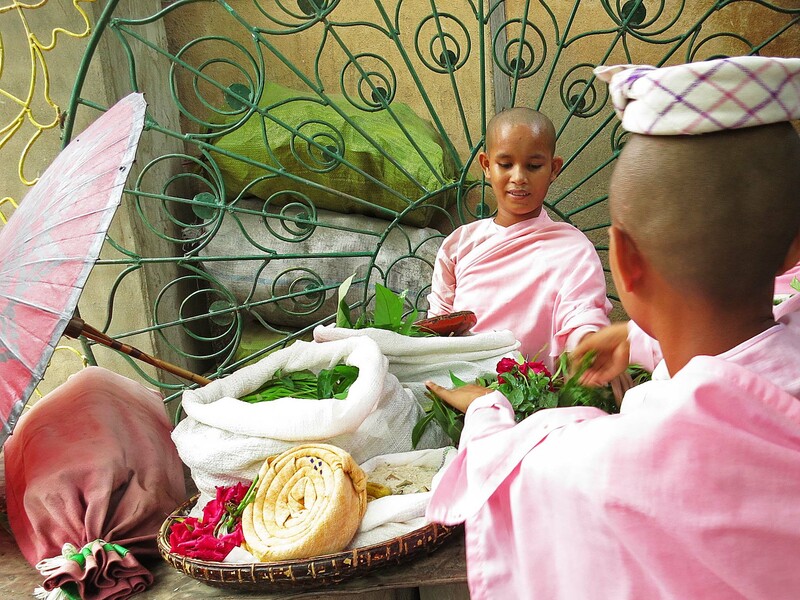 The former capital of Mandalay is the second largest city in Myanmar and is known as the national center of Buddhism. Estimates say the country has over 500,000 monks. 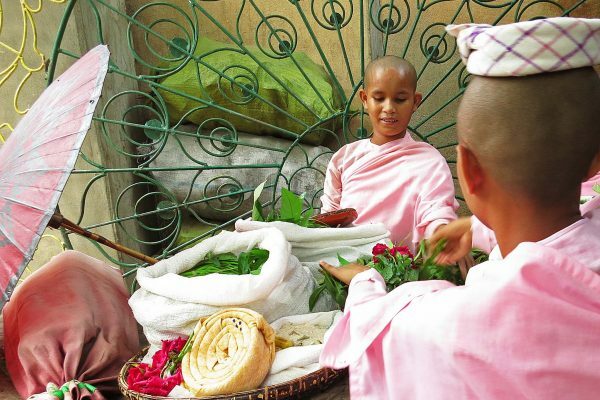 Most live in the dozens of monasteries in and around Mandalay. The best place to get oriented is Mandalay Hill. 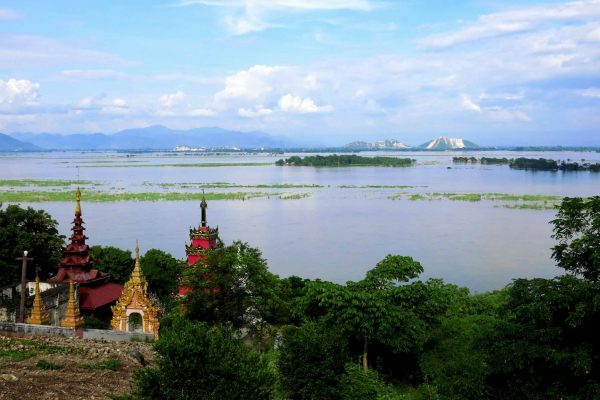 It has panoramic views of Mandalay Palace, the city, and the Irrawaddy River. Beautiful temples and pagodas lie all around, including the Kyauktawgyi Pagoda, which houses the massive Great Marble Image of the Buddha. 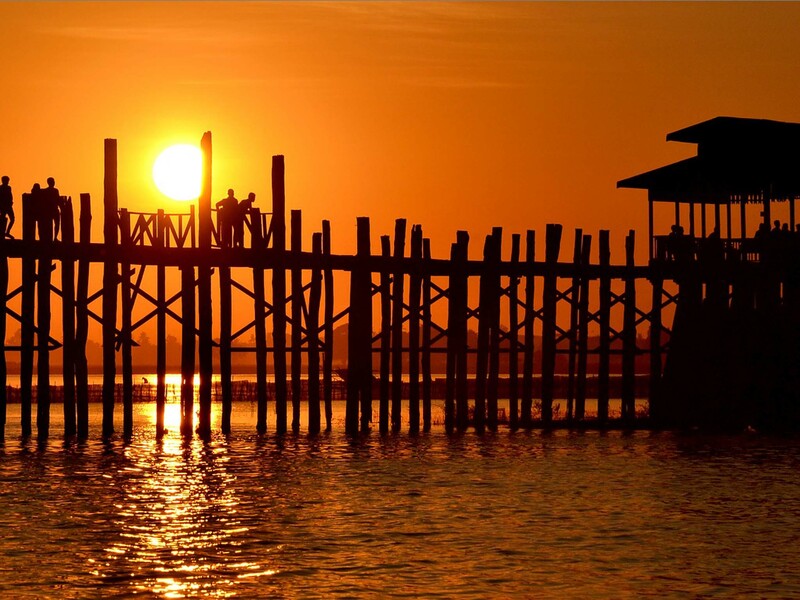 A few days in Mandalay will allow you visit notable townships around the city. 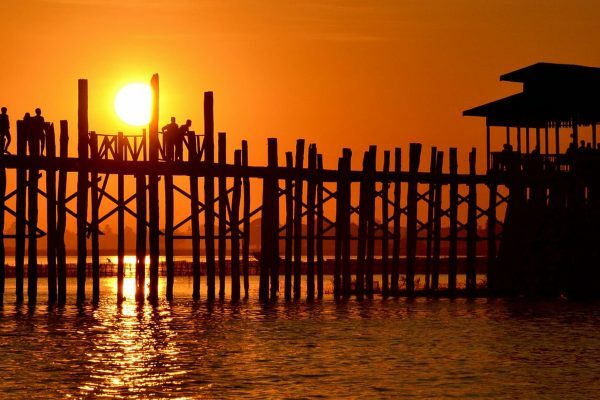 Amarapura has one of the foremost monasteries and the legendary U Bein Bridge, which was constructed of teakwood in 1782. It spans half a mile across Taungthaman Lake. 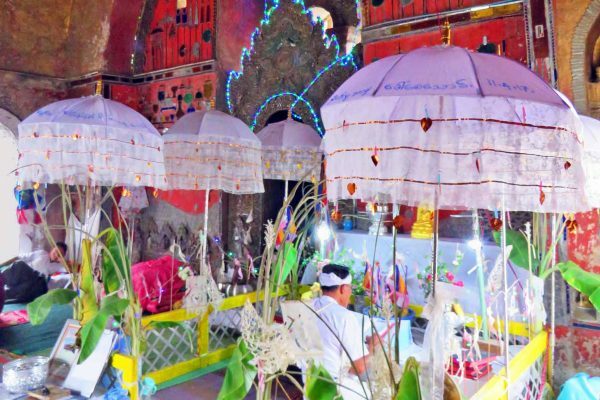 Sagaing is known for its dramatic hill, adorned with 600 white pagodas and monasteries, many capped in gold. We can arrange a vegetarian lunch in a convent here, if you like. From the 14th to the 18th centuries, Ava was the capital city. 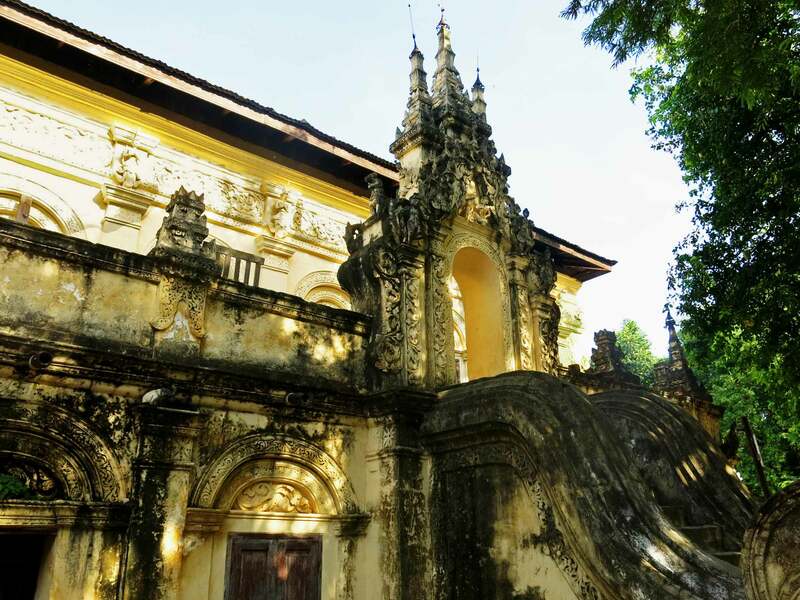 The extraordinary woodcarvings at the Bagaya Monastery and the Nanmyint Watch Tower are important sites here. The Shwe Kyin Monastery is a lovely place to see the sunset and observe young monks lining up for the evening prayer. 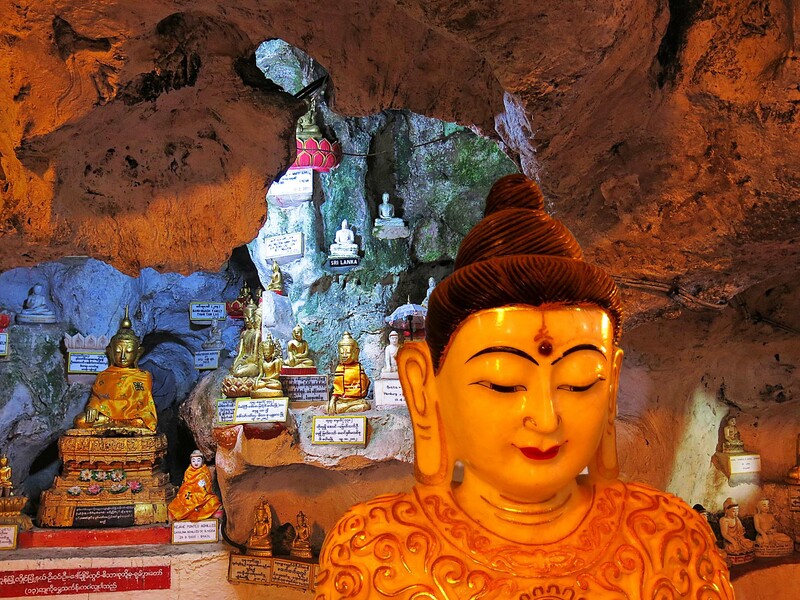 The Pindaya Caves are nestled high on a hilltop that can be reached by a special elevator. Inside are over 8,000 images of the Buddha, of different sizes and styles, some dating back 250 years. 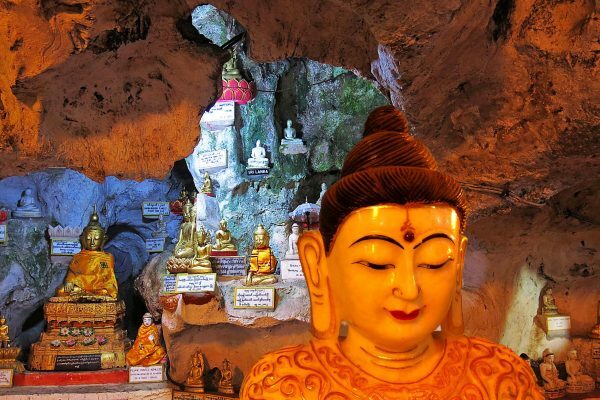 The caves are an hour’s drive from the Heho Airport; a visit can easily be included on tours to Inle Lake and Kalaw. For many, Inle Lake is the favorite stop on a tour through Myanmar. While there are many things to see and do, this isn’t a place with must-do landmarks. Visitors can just relax, take in the natural beauty, and visit the areas that most appeal to them. It’s fascinating how life is lived on the water. Entire villages and even pagodas are propped up on stilts, transport is solely by boat, and floating gardens grow vegetables and flowers. At the Inle Wetland Wildlife Sanctuary, birdwatching towers allow visitors to seek out the dozens of species living here, as well as visitors: During the winter, 20,000 migratory birds fly down from China and Mongolia to stay in the sanctuary. On a day trip to Kakku, you can see a remarkable sacred site that dates to the 17th century. A main Buddhist stupa is surrounded by 2000 smaller pagodas arranged in neat rows. They have a similar design, with spindly spires, but each has unique ornamentation. One of our favorite places in Inle Lake is the Inle Heritage House run by a nonprofit organization dedicated to preserving the region’s culture and nature. The large, stilted complex is made of reclaimed wood and surrounded by flower gardens. A small aquarium on the premises showcases local aquatic life. The restaurant serves delicious local Inthar cuisine. Still, the real stars here are 40 pure-bred Burmese cats, known for their friendly natures. The native breed had disappeared, but Inle Heritage was able to restore them by importing pedigreed cats from abroad. The pampered felines spend their days lounging in an open-air room with toys and cushions, where visitors can pet and play with them. 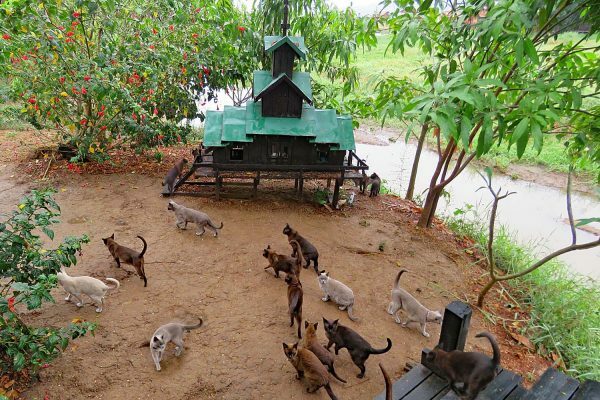 A small bridge leads to “Cat Island,” which contains their bedroom and an outdoor yard. 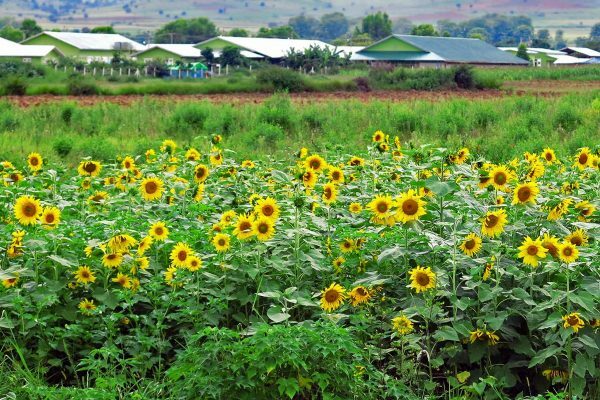 The village of Kalaw is a former British hill station favored for its crisp mountain air and rolling hills. The region is a hiker’s paradise. Trails pass by hillside rice paddies, pine forests, pagodas, tea plantations, and traditional farms where oxen still till the soil. Overnight treks also leave from Kalaw. A scenic 45-minute drive from Kalaw is the Green Hill Valley Elephant Camp. Most of the elephants here are enjoying their retirement from the timber industry while a resident orphaned youngster keeps them on their toes. Visitors can help bathe the elephants in the river and participate in reforestation by planting a regional tree from the camp’s nursery. You can arrive at the camp by car or take a short hike up the hill, surrounded by butterflies and orchids. 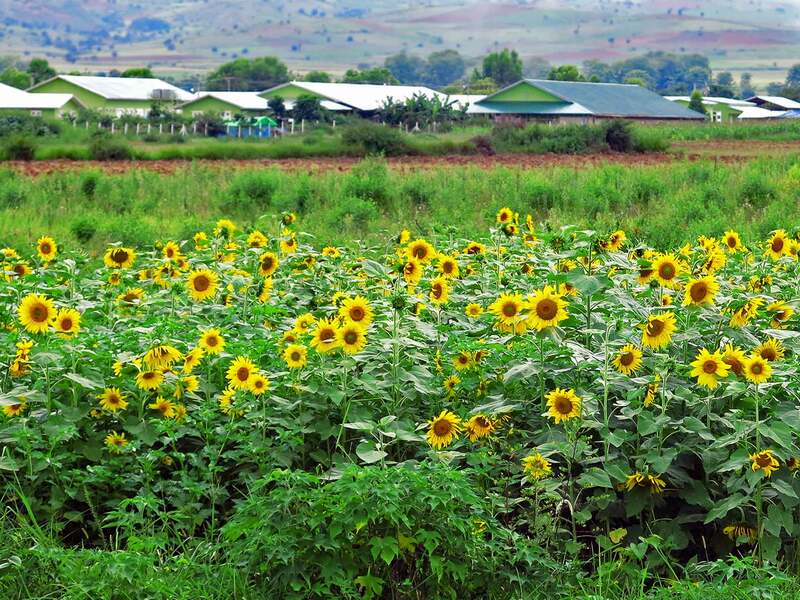 The closest airport to Kalaw is the Heho Airport—also the closest to Inle Lake—so a few days in Kalaw offers a lovely prelude to a stay on the lake. 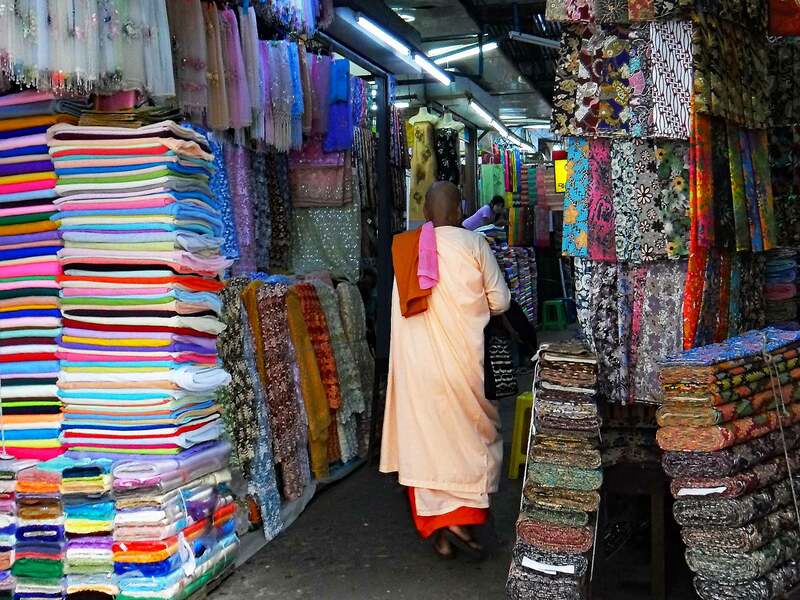 The iconic market of Myanmar is Yangon’s Bogyoke Aung San Market (formerly called the Scott Market). 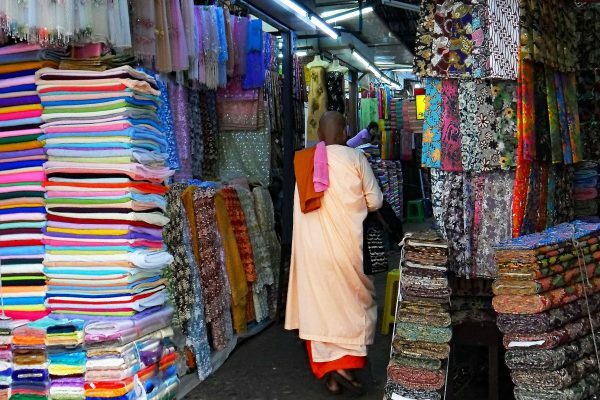 Its 2,000 shops and stalls sell a wide selection of cloth, jewelry, souvenirs, and produce. Rubies, jade, and other gemstones mined in Myanmar can be found here. A great breather between pagoda visits in Bagan is the colorful and authentic Nyaung U Market where locals go to buy produce, clothing, and daily necessities. At the Inpawkhon weaving village in Inle Lake, weavers work with cotton and silk, as well as lotus, which is extremely rare. Cloth is woven on hand-worked looms and then used for scarves, robes, or shirts. Some fibers are left natural; others are dyed in bright colors or woven into traditional Shan patterns. Around Mandalay is a proliferation of handicraft workshops. Lacquerware and embroidered tapestries with golden thread are especially prized. You can also shop for folk crafts such as dolls, masks, and bags. Some villages near the city specialize in manufacturing traditional pottery. Burmese cuisine is a unique amalgamation of homegrown recipes, with strong influences from the flavors of neighboring countries, particularly India, China, and Thailand. Rice and noodles are staples, with endless variations. Yangon has several fine-dining restaurants, with options for Burmese, Asian, Indian, and European cuisine. We like Le Planteur, a French restaurant in a beautiful colonial mansion. Our favorite breakfast in Myanmar is Shan Tohu Nway (Shan Tofu Noodles). There’s nothing like starting the day with a bowl of spicy rice noodles smothered in a creamy chickpea tofu sauce. Another unique dish is lahpet thoke, fermented tea leaf salad. 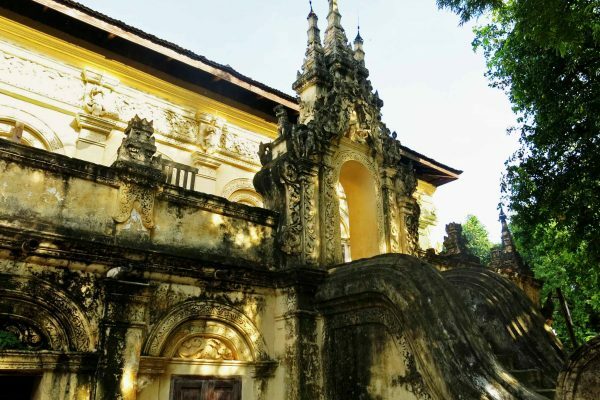 Customized tours in Myanmar starting from US$700 per person/per night. Most travelers enter Myanmar from nearby countries via the international airports in Yangon or Mandalay. Yangon has the most connections. Overland border crossings are less common, though a popular day trip from Chiang Rai, Thailand, is a visit to the market town of Tachilek, in the Golden Triangle. 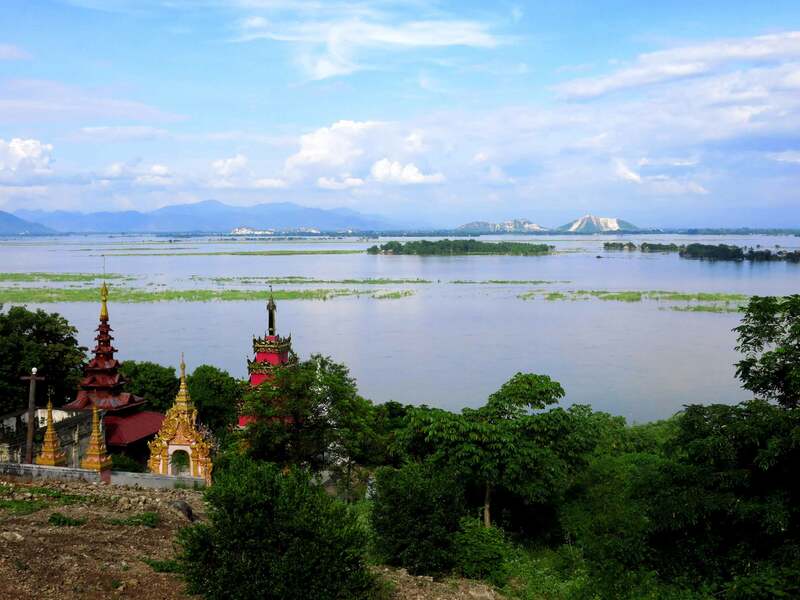 Myanmar’s climate is warm and humid with a dry season (November–April) and a wet season (late May–October). March and April are extremely hot and avoided by most travelers. 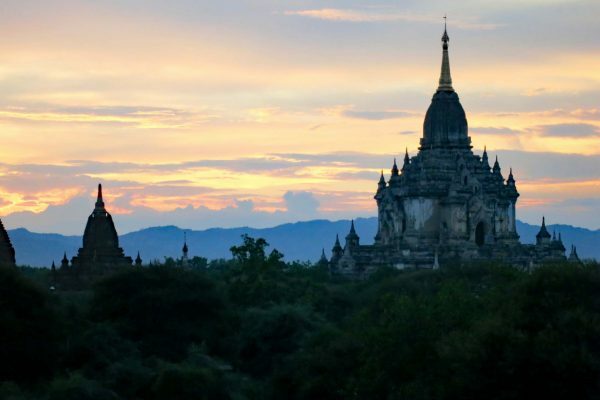 The beginning of the dry season (November–February) is the most popular time to travel to Myanmar, with average temperatures ranging from 68 to 75°F (20 to 24°C). Hotel prices are higher and attractions have increased visitors during these months. In March and April, visitor numbers drop as the humidity and temperatures rise; it is common for temperatures to reach 95°F (35°C) or more. During the wet season, the air is especially humid and average temperatures range between 77 to 86°F (25 to 30°C). Weather is notoriously difficult to predict, so the actual conditions during your trip may vary. Prior to entering Myanmar, it is crucial to be aware of current events. In some parts of the country, ongoing internal conflict and civil strife stems from the government’s treatment of ethnic minorities. We do not arrange travel to areas considered high-risk. We work with local companies owned and managed by individuals, so money spent on travel within the country supports them, their families, and their communities.